THIS THURSDAY! #ScandalousThursdays at MUSE Lounge in DC 10p-2a! In 2 Days!! 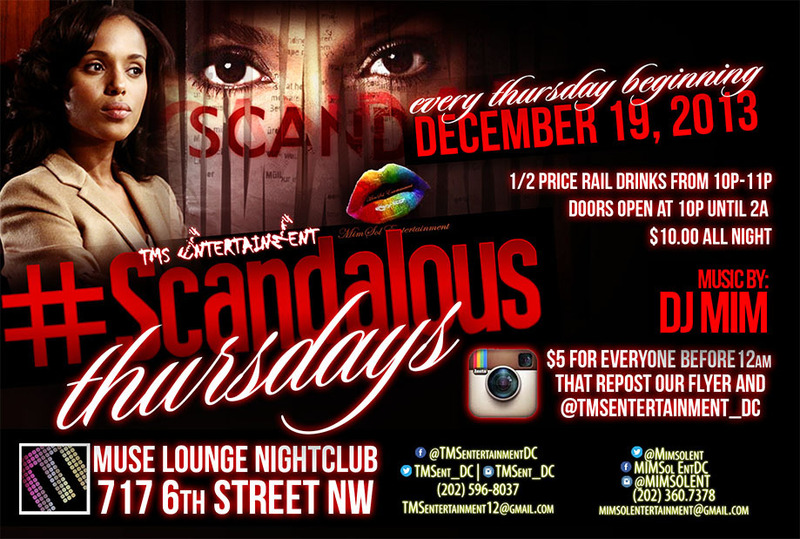 #ScandalousThursdays at MUSE Lounge in DC 10p-2a! NEW EVENT LAUNCH THIS WEEK!! #ScandalousThursdays at MUSE Lounge in DC 10p-2a! TONIGHT! 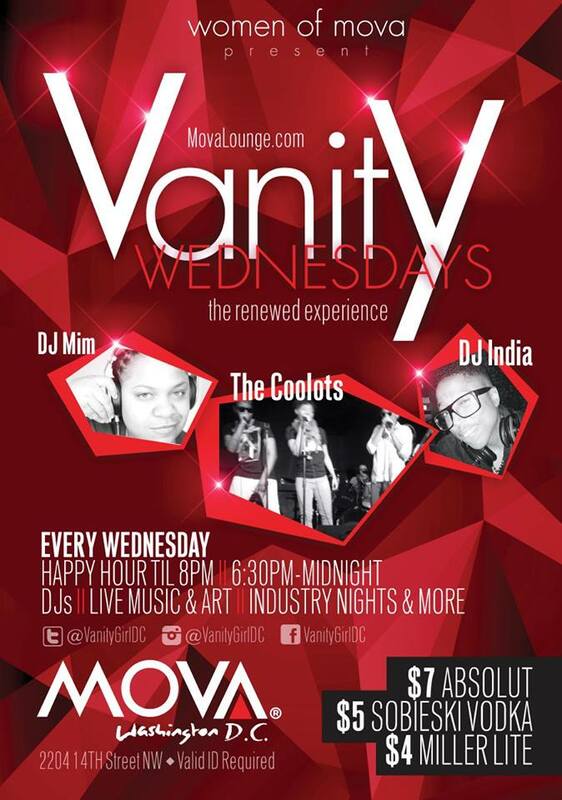 @DJMIMDC spins at MOVA Lounge DC’s Ladies Night! Every Wednesday is Ladies Night at MOVA! 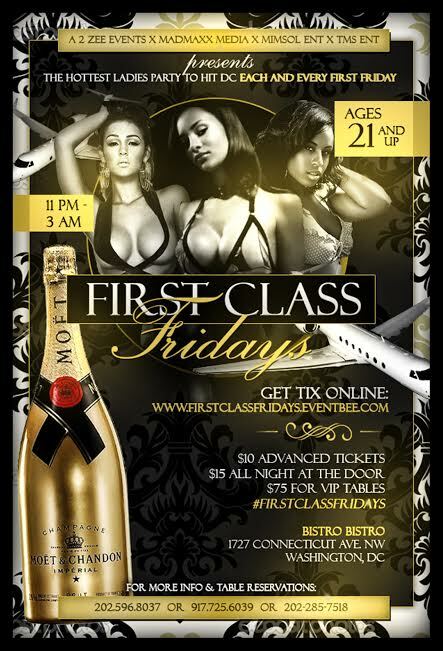 Enjoy LIVE music and DJs every week!